I have never recalled a busier time. I know I say that all the time but…. I went to Australia, all of that to come. 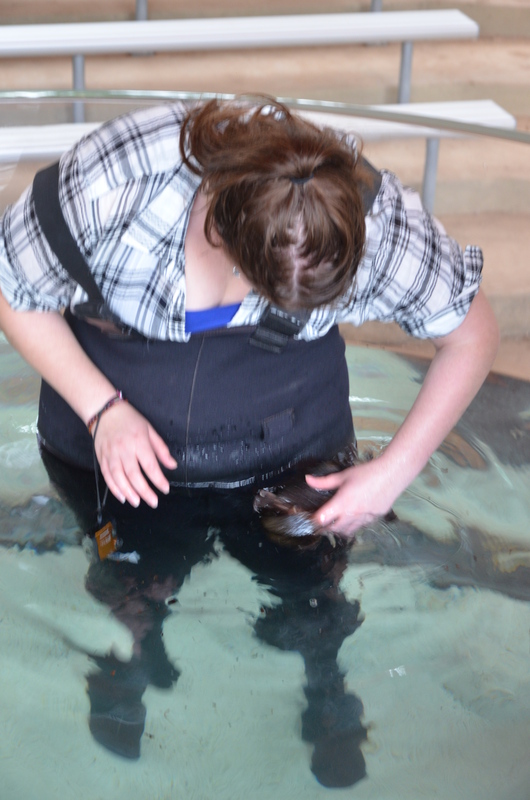 Including my favourite story…..
Basically, what you’re looking at is me petting a platypus. So clearly, I win at all life ever. So, what does one do when they’re so busy that their part time job and school seem like a full plate? THEY SWITCH TO FULL TIME!!! on the plus side, this is giving me money to take trips, and sew, and knit. So, wish me luck, and wait eagerly because that’s a damn platypus.